When the first teaser for Game of Thrones Season 8 was released, every single fan in the world was like, “You show nothing, HBO.” But anyways, the 90 seconds teaser was enough for the fans to come up with crazy fan theories and spoilers for the upcoming finale. 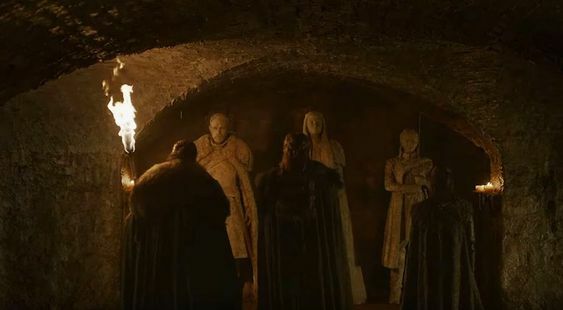 The teaser showed Jon, Arya, and Sansa walking in the crypts of Winterfell. They pass by the statue of Ned Stark and Catelyn Stark and ultimately reach a dead end. And that’s where they realize that their darkest dreams are about to come true. They are face-to-face with the statues of themselves when suddenly a cold breeze starts to take over and turns everything frosty. But wait a minute, there are only three Stark children here. Where is Bran? As per the recent fans speculations, Bran is there. Bran is the cold which takes over, Bran is the Night King. This theory is not new. Ever since the fans saw that Bran is actually capable of time traveling and warging, there have been rumors and theories about Bran being the Night King, if not, controlling the Night King. There was a theory which suggested that Bran is actually Viserys, the dragon in control of the Night King. 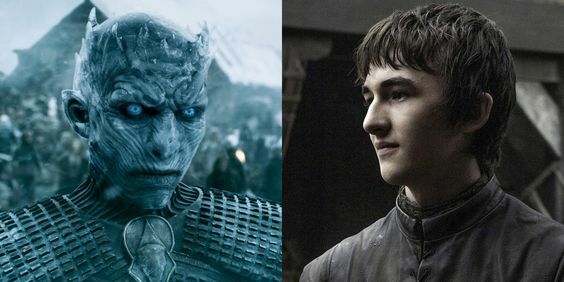 The current theory, however, suggests that during the time traveling and warging, Bran goes back to the time when the Children of the Forest first created the Night King. Bran gets stuck in the body of the Night King as he believes that it is the only way to save the human race. We have seen how Bran has the power to alter the present from the past. He was the one responsible for Hodor’s speechlessness. So, is Bran intentionally being the Night King so that he can unite the Seven Kingdoms and establish the long lost peace?